Over the past 10 years, the net worth of the online gambling sector has grown to over $35bn. Smartphones have further revolutionised the sector during this time, with usage growing to account for over half of all revenue from operators in the past five years alone. Yet despite this, other than among industry experts and insiders, little is publicly known or understood about the sector; something that is largely because of the complex regulatory environment that influences and shapes the industry. To shed more light on the workings of this innovative sector, World Finance spoke to Melissa Blau, Founder and Director of iGaming Capital, a firm that provides consulting and development services for companies seeking to enter the online gaming industry. Blau explained how such regulations, if correctly orchestrated, are not a burden, but a benefit to the industry. She also outlined how her firm hopes to help the industry overcome an anti-gaming stigma that often keeps outside investors away. How has the online gambling sector evolved in recent years? Over the past few years, the evolution of the industry has been predominantly influenced by the increasing role of regulation, which has been a welcome change. While regulation has its drawbacks (increased complexity and taxes), the benefits far outweigh the negatives. Firstly, regulation provides clarity regarding the operating environment (tax rate, product vertical), which is important for investors. It also allows the iGaming sector as whole to achieve greater public awareness through the ability to use mainstream media to advertise. 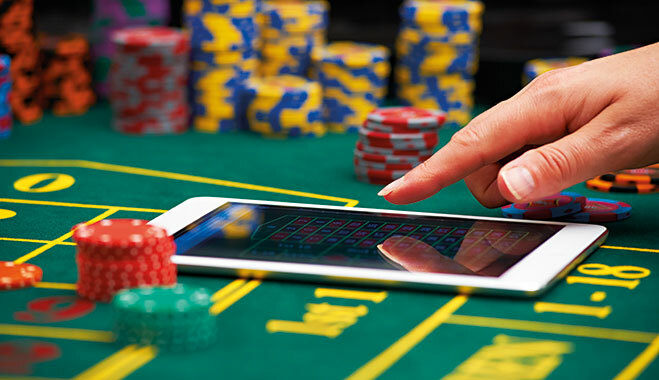 Over the past five years, wagering on mobile devices grew from insignificant amounts to now representing 50 to 70 percent of an operator’s revenue. The ability to use a smartphone to wager on a football event while at the game has increased fan engagement, as well as player loyalty. The technological innovation has also changed the overall game offering: it used to be that players could only really wager on the outright score of a game, but with better technology, predictive models and algorithms, the ability to wager on the next kick or score now represents more than half of all wagers. As with any industry that matures, operating an iGaming company has become more complex and competitive. Only 10 years ago, few people had any substantial operating experience. It was easier to launch as a new operator with a relatively high degree of success, but as the industry grows, that is starting to change. What are the biggest opportunities and challenges for online gambling? There are continually new technological developments (for example, mobile geolocation), game formats (in-play sports wagering, daily fantasy sports) and commercial models (virtual currency or social casino) that present massive opportunities. The biggest challenge for innovation has mainly been a lack of capital invested in the sector, coupled with operating in a highly regulated environment. Start-ups in any industry require capital, but starting a company in an industry as highly regulated as iGaming can become a bit more capital-intensive, as the operators and/or technology must be licensed and certified. The intensity and cost of the regulations vary greatly by jurisdiction. So many early stage companies tend to operate in jurisdictions that are more reasonable to prove out their concept, before moving on to more challenging environments, such as the US. Why doesn’t the online gambling sector receive much outside investment? From an early to mid-stage company funding perspective, I have come across lots of interesting and innovative ideas, largely from industry insiders who have vast experience in the sector and see a real opportunity in the market. Yet funding for these companies is exceptionally tough: many venture funds are precluded by their investment charters, which specifically name gaming as a no-go industry. A few shy away from investing in the sector, as they cannot overcome the ethical issues associated with iGaming. That is understandable, as this industry is not for everyone. I think the biggest opportunity is to attract those investors who have a genuine interest, yet don’t know where to seek the premium deal flow. Understanding the iGaming sector requires speaking to the stakeholders in the sector, such as the regulators, operators, suppliers and industry-focused legal/financial advisors. What has ended up happening is that when it comes to funding, many of the early stage companies have been funded by high net worth individuals from within the industry. While that has been great for them, with such little competition over valuations, it is poised to change. How do you plan to break the stigma surrounding the sector? Over the past couple of months, I have been working to help solve this problem by leveraging my years of experience in venture capital at Constellation Ventures, as well as my 13 years in iGaming generally, to create a dedicated iGaming fund to invest in the proprietary deal flow I have cultivated over my years in the sector. My goal is to develop GamingTech as an asset class similar to HealthTech and FinTech, to assist in attracting capital that would not otherwise be invested in this fast-growing sector. In doing so, I strive to break misnomers about the sector and make investing in the sector more transparent. When I co-founded Constellation Ventures in 1997 with Cliff Friedman, in conjunction with Bear Stearns, it was important to investors that we both had industry experience in the MediaTech sector. Friedman was a well-known analyst for Bear Stearns and also a senior executive at NBC. I had worked at Viacom Interactive and helped to launch Simon & Schuster’s interactive business. With Sony as our largest investor, we created what was at the time one of the leading vertical-specific venture capital funds that was specifically targeting technology and content in music and media in general. It was clear that our industry experience made us better investors. Recreating that with my experience in iGaming has been a long-time goal, and I am working on now setting that plan into action. How do online gambling regulations vary from country to country? Each country or state takes great pride in administering their own variant of gaming regulations, as each locality has their own way in which they want to see potential issues addressed. Some countries offer a very open regulatory environment, such as the UK and Denmark, which allow foreign companies with no prior presence of operating gaming to obtain an iGaming licence. The UK and Denmark also allow for what we call ‘open liquidity’, wherein their poker players are allowed to play on the same network as players from almost any other country. Other countries, such as Belgium and the US, only allow licence holders of land-based operations to offer iGaming. Other countries offer it solely to their government monopolies or lotteries, while the majority of jurisdictions have yet to develop any regulations, and remain grey markets. While regulated markets still remain somewhat in their infancy, the lessons and mistakes continually unfold. Another big difference is the tax rate and product offering – the level tax rate can largely determine the success of iGaming in any country. As a rule, any tax of more than 20 percent will generally be unsuccessful. It seems that when a jurisdiction sets the tax rate higher, two things tend to occur: first, the top operators shy away from entering the market. Second, illegal operators tend to do better. France is a perfect example of where the regulations could be improved. Not only is the tax rate high, but the country has also yet to regulate casino-style games, offering only legalised poker and sports wagering for remote gaming. While France was one of the first jurisdictions to create iGaming regulations, there have been an increasing number of jurisdictions from which to learn, creating a more robust and profitable environment for both operators and investors. What are your ambitions for the sector moving forward? As I have mentioned, my ambition is to attract additional capital into the sector by capitalising on the changing global gaming market, tapping into the proprietary access of experienced key stakeholders who are the thought leaders in the sector. As part of it, I would like to create GamingTech as an asset allocation for strategic and financial investors, similar to HealthTech, SportTech and FinTech. Potential investors include a broad range of capital, such as strategic corporate capital, family offices, investment advisors, private banks, institutional consultants and institutional investors. The end goal is to create a leadership position in the GamingTech sector by acting as a resource for potential investors and assuaging preconceived fears of the sector, as well as break the ‘insider only’ investor market. The sector is an industry at an inflection point, and there is great opportunity to target disruptive technologies and services.